Brows can change up your look completely. 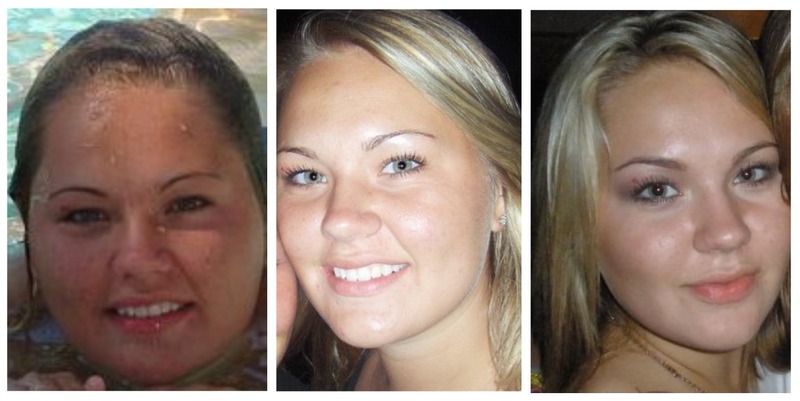 I remember about 3 years ago when I started filling in my eyebrows, I was mind blown how big of a difference it made and how my face looked way more complete with filled in brows. I'm going to share with you guys, what I have learned over the past years and how to keep your brows looking the best they can. My brows have been both skinny, short, big and almost non-existent. But on the last picture you can see, that they started getting much better and at that point I started getting a general feel on how my brows should look, but from that picture to now has been a long journey. I still remember when it all started. My best friend thought we should plug my eyebrows and since I had no clue how to do it, she did it and they looked great. But then hell broke loose and I just plugged and plucked until they got so skinny and short, that it was the first thing you noticed when you looked at me... Then I had an internship as a cosmetologist and the woman that was teaching me all the things I should know, gave me some tips on eyebrow care and she even gave me a free brow fixing session. After that, things got better and my eyebrows started growing back. The past few years I have pretty much had the same style of eyebrows and I'm very happy about the way they look. I finally feel like they frame my eyes, as they should, instead of soaking all the attention. Since my brows are more on the bigger side of the scale, they are still getting some attention and they are part of "my look", therefore I still get a few question once in awhile, asking how I keep them looking like this, and I'm going to show you, just keep reading. But first here is an important tip: DON'T OVER PLUCK YOUR EYEBROWS! They say that the oval face shape is technically ideal, which means if you have an oval face shape you can basically get away with anything. All sunglasses, haircuts and brow shapes look good on people with an oval shaped face, but us people with either sharp or round faces have a few things to keep in mind. People with a sharp face shape (e.g. heart, long and triangle) should wear rounded eyebrows and people with a round or square face should wear angled brows. The reason why it's different depending on face shape, is because we want to try and make the face look as balanced and more oval as possible, since that's the 'ideal' face shape. Now that we know that, we are going to move on to how to plug and trim your eyebrows. My theory is that we are all born with a specific hair color and brow shape, because that's what suits our skin color and face shape. That doesn't mean that a different hair color or brow shape won't suit you, but if you are having a hard time figuring out what to do, just go natural. For me my eyebrows have their natural shape, which is a soft angled brow and that suits my face, since I have a rounder face. I just plug all unnecessary hairs that sit outside the brow line. Picture 1 - To determine where your brows should start, hold a pencil or makeup brush along one side of your nose. 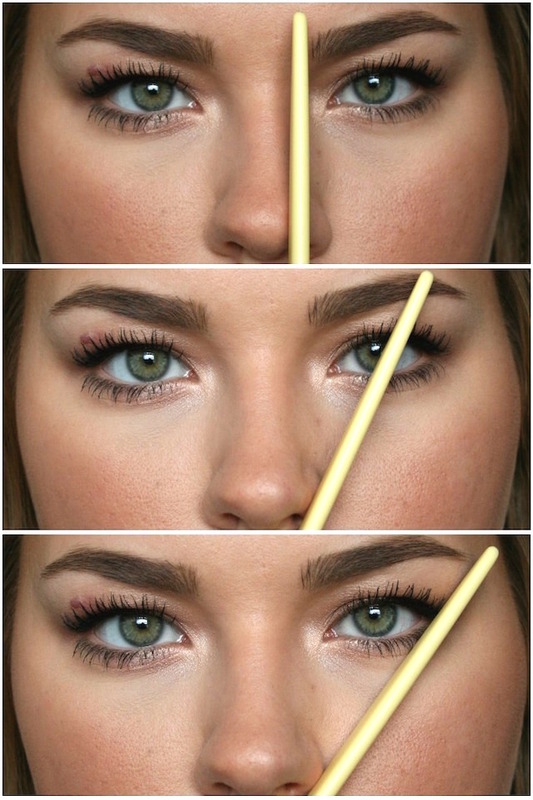 Point the pencil or brush straight up, that's where your brow should begin. Picture 2 - Now angle the pencil from the side of the nose across the iris, that’s where the arch should begin. This is where your brow should be the highest. If you have a sharp face shape, it should go up in a rounded arch. If you have a rounder face shape, it should to up in a pointed or soft pointed arch. Picture 3 - Angle the pencil or brush from the side of your nose to the end of the outer corner of the eye, that’s where the brow should end. Picture 4 - Brush hairs through and up with a spooly brush to reveal unwanted hair (hairs outside the main brow). Picture 5 - Use a pair of tweezers to pluck those hairs away. Don't forget to plug the extra hairs in between your eyebrows, so you won't have a monobrow. Picture 6 - Brush you hairs up with the spooly brush again, and trim the hairs that are longer than your brow shape. I actually only do this to the front part of my brows. Because when I trim all the way over, I get a lot of spars areas, so I like having long hairs throughout the rest of my brows. Picture 7 - Optional! 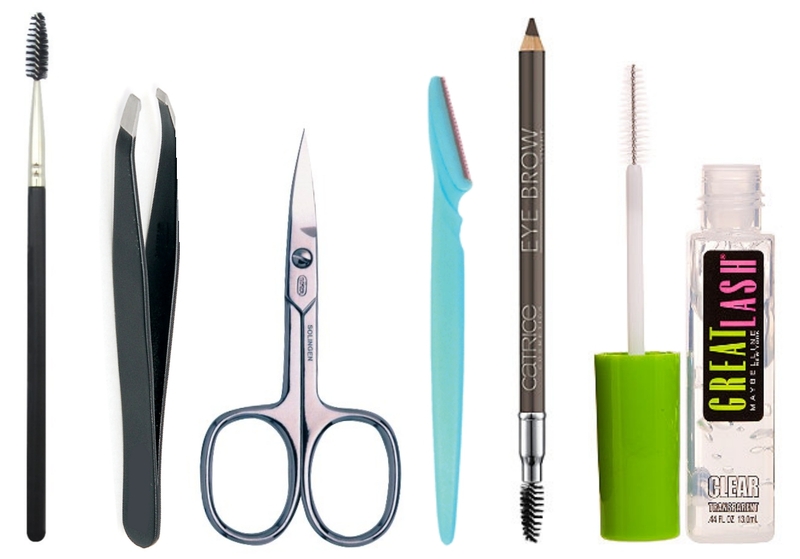 Use a brow razor to shape the brows from above. I wouldn't recommend plugging the hair above, because it's going to make them look weird. But you don't have to touch the above part of your brow if you feel like it isn't necessary. Picture 8 - Now it's time to fill in your brows, using either pencil or brow powder. I like using a pencil (Wet 'n Wild Pencil or Catrice Eyebrow Stylist), because it's quick and easy. Focus the color on the outside of your brows and use a lighter hand when filling in the inside. You don't want that part to be too colored in, because that's going to make you look angry and make your eyes closed off. Picture 9 - This is optional again, but if you have uncontrollable hairs, you might want to use a eyebrow gel, to keep your brows in place. Just remember to have fun, eyebrows should be like sisters, not twins - I don't think anyone has naturally identical eyebrows, so just try to get them as similar as possible. Good luck with getting nicely shaped eyebrows!